Treat yourself to the world famous Afternoon Tea at The Ritz London with a 15% discount* on our 11.30am and 7.30pm sitting of traditional Afternoon Tea Monday – Thursday in 2019. This offer has limited availability. 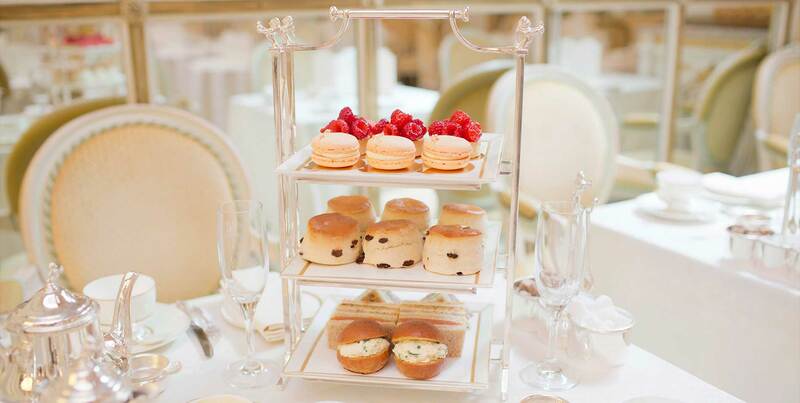 Enjoy a quintessentially English experience served in the beautiful Palm Court. 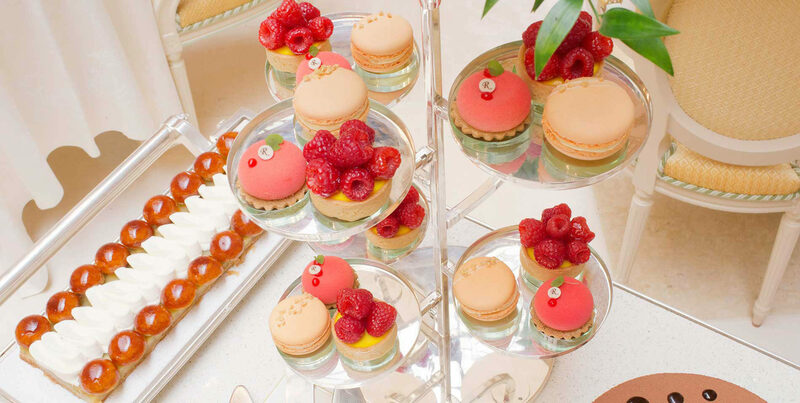 Choose from an extensive selection of 18 varieties of loose-leaf tea, finely cut sandwiches, freshly baked scones with Cornish clotted cream and strawberry preserve and a range of delicate pastries, which will be replenished on request whilst dining in The Palm Court. Received a signed copy of The Ritz London The Cookbook with 100 delicious recipes from John Williams MBE. Throughout the book, John Williams shares his culinary philosophy, passions and expertise, as well as providing you with useful tips. Every day between the times of 11.30am and 9.00pm you will be entertained by The Ritz London resident pianist. harpist or string quintet playing classic and contemporary tunes whilst you enjoy your delectable Afternoon Tea. Every Tuesday to Thursday evening from 7.30pm to 8.45pm, Soprano Miranda Heldt will entertain you with her astounding voice and charismatic charm. Priced at £79.30 per person with the 15% discount included on Traditional Afternoon Tea and a signed Ritz Cookbook. The Ritz prides itself in delivering the highest of service standards therefore, we maintain our traditional values and do not include a discretionary service charge on your final account. This offer is only valid from 2nd January 2019 and if you make your reservation online by clicking on the BOOK NOW link below. Please note, this discount offer is NOT valid if you print this page and show it to the host / hostess on arrival. This 15% discount has restricted availability and is valid Monday – Thursday at the 11.30am and 7.30pm sittings only. 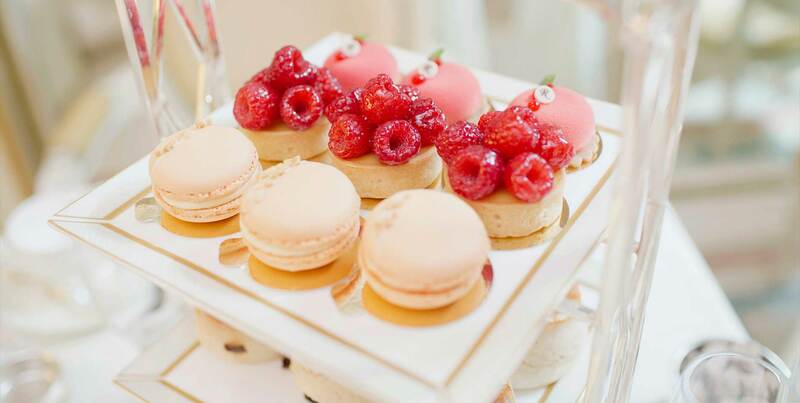 The 15% discount is on traditional afternoon tea only and excludes any glasses of Champagne. This offer cannot be used in conjunction with any other offers. Please note during the festive season the entertainment schedule will change. On all other days entertainment is subject to change. The Ritz London has a dress code in different areas of the hotel as follows: Gentlemen are required to wear a jacket and tie (jeans and sportswear are not permitted for either ladies or gentlemen) for afternoon tea in The Palm Court and for lunch and dinner in The Ritz Restaurant and Terrace. In all other areas of the hotel (The Ritz Restaurant breakfast service, The Rivoli Bar, The Long Gallery) and The Ritz Club, smart casual attire is required. Please note that shorts, trainers and sportswear are not permitted in any of the hotel or Club’s restaurants or bars. We are happy to accommodate large parties. Please kindly note that reservations for six guests or more in the same sitting require full non-refundable pre-payment 7 days in advance of your booking. Cancellations and amendments to reservations for six or more guests in the same sitting can be made up to 7 days prior to your reservation date without charge. Celebrate Easter in style as two of the world’s most iconic brands, Fabergé and The Ritz London, launch a unique experience to ignite the senses. © 2016 The Ritz Hotel (London) Ltd.
Book a room book now book now book now why book direct?